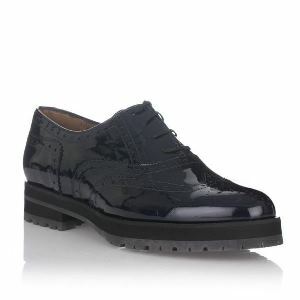 PERTINI are shoes with its own unique personality. Unique shoes that make the heart beat faster of fashion lovers. All Pertini shoes are handmade and have excellent quality. 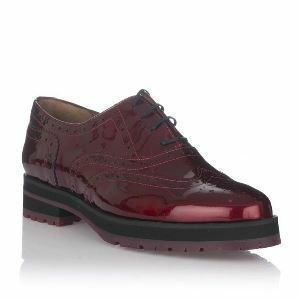 ​Oxford brogue shoes made in Spain from burgundy patent-leather by the exclusive Spanish brand PERTINI. Set on a platform sole, this pair is both comfortable and on-trend.